trailer. 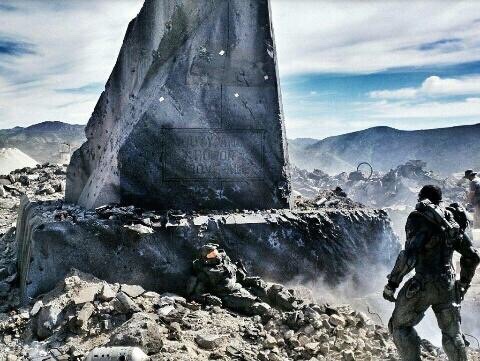 The image itself, found via Imgur, shows the Master Chief collapsed on a pile of rubble, with a soldier, probably Spartan Locke standing in front of him. one of the best experiences on the Xbox One console. Halo 5: Guardians is stated for a Fall 2015 release. We will bring more information as soon as we get it.